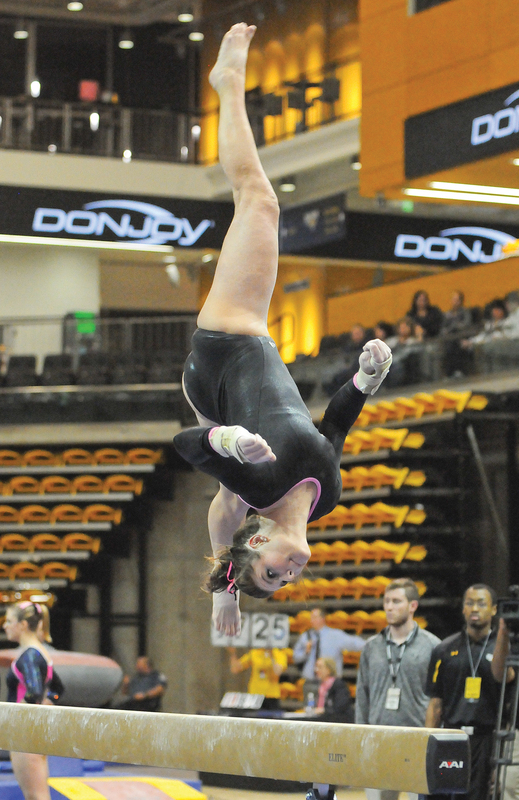 Towson hosted its third annual Pink Meet on Friday in SECU Arena in a quad meet against Michigan State, Yale and Rutgers. 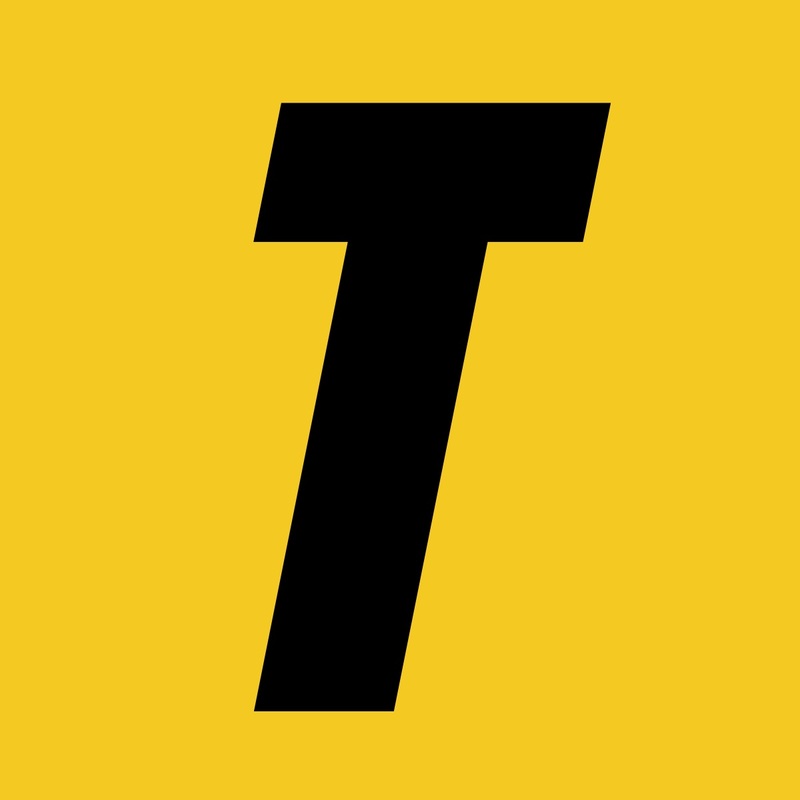 Towson finished third with a final score of 193.750. Michigan State finished first with 196.275, followed by Rutgers in second with 194.850. Yale placed fourth with a final score of 191.875. The Tigers got off to a shaky start on vault. Junior Katie Sassa finished first for the Tigers and tied for sixth in the event with 9.725. Senior Nicolette Vignola followed and tied for tenth with 9.675. Senior Janis Konkle took third for the Tigers with 9.525, while freshmen Lauren Cahalan and Tyra McKellar finished with 8.950 and 7.500, respectively. McKellar led the team on bars and tied for second with her highest score of the evening with 9.850. Junior Vicky Vesecky tied for fifth with 9.825 closely followed by senior Samantha Lutz and junior Lydia Thompson, who tied for 10th with 9.775. 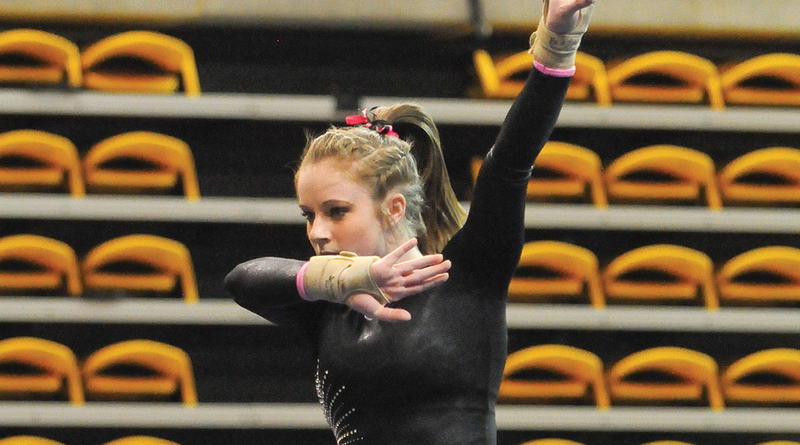 Sophomore Bridget Steffen scored a 9.700 for 18th. The team had a final score of 48.975 for the event. The Tigers continued on beam for a team score of 48.650. Freshman Noelle Harada finished first for the team with 9.775. McKellar took sixth in the event with 9.750 followed by Konkle with 9.725, who tied for 10th. Steffen and senior Lauren Ross tied with a score of 9.700. The team concluded the meet on the floor exercise earning a team score of 48.825. Cahalan led the Tigers with her highest score of the evening with 9.825 to tie for fourth. Sassa finished with 9.800 for seventh. Harada finished third for the Tigers with 9.775, just ahead of Lutz who finished with 9.750. McKellar wrapped up the team’s score with 9.675. The Tigers travel to Brown University to compete with Lindenwood on Sunday, March 8. The meet, one of the last for Towson, will begin at 1 p.m.